Witness the best of diverse India with “Golden Triangle with Goa” tour that will take you and your loved one to the exotic beaches of Goa, famous historical and tourist places of the capital Delhi, rich heritage sites of Agra and royal palaces and forts of Jaipur. 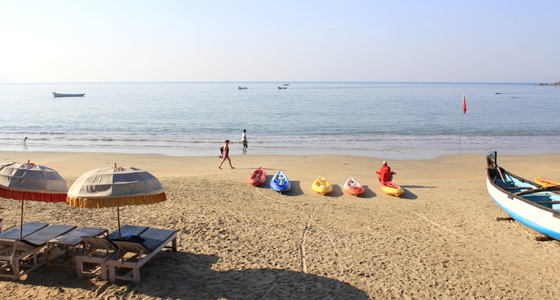 This tour will take you to the cool and clean beaches of Goa so that you can experience ultimate fun and take away home many life time memories. We offer a well organized 10 nights and 11 days Golden Triangle with Goa tour package in India to holidaymakers who want to see traveller’s paradise on the earth. Our All in One tour package will allow you to go on a memorable trip, which includes visits to the world-famous beach state of India along with the well-acknowledged Golden Triangle Circuit. The tour is ideal for the travellers visiting India for the first time. 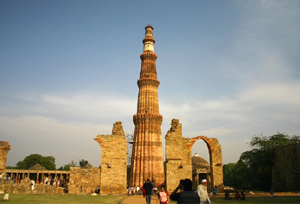 Morning after breakfast, we will take you for full day sightseeing tour Delhi. In the morning we will visit New Delhi area and our visit includes Laxmi Narayan Temple, India Gate, Parliament House, Qutub Minar, Purana Qila, Humayun's Tomb, Jantar Mantar Etc. After having lunch we will proceed for the sightseeing of Old Delhi which includes Jama Masjid, Red Fort, Gandhi memorial, Rajghat. You also can enjoy the light & sound show at Red Fort in the evening etc. Overnight at the hotel. Morning after breakfast drive to Agra, en-route visit Sikandra. On arrival at Agra check-in at hotel. Afternoon visit Agra Fort containing the Pearl Mosque, the Halls of Public and Private Audience. Overnight stay at Hotel. Morning visit Taj Mahal at Sunrise, after breakfast drive to Jaipur, en-route visit Fatehpur Sikri. Fatehpur Sikri was built between 1571 and 1585. It is one of the finest examples of Mughal architectural splendor. Later continue drive to Jaipur. On arrival at Jaipur check-in at hotel. Overnight stay at hotel. After breakfast proceed to visit Amber Fort. Amber Fort was the ancient capital of the State. Visit the Sheesh Mahal or the Hall of Victory glittering with mirrors. Ascend the Fort on Elephant back. Afternoon tour of Jaipur visiting City Palace, the Observatory, drive past Hawa Mahal & through the pink rose residential & business areas. Overnight stay at hotel. 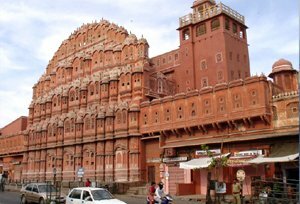 Jaipur is the capital of Rajasthan. It was painted in pink color a century ago in honor of a visiting prince. Ever since, Jaipur has retained this pink color. Built by Maharaja Jai Singh, a notable astronomer, this city is 260 years old.